CHENNAI: On April Fools’ day last year, an online marketplace for ‘everything with an engine’ Droom, put out an offer. “Want a plane? Buy one online on Droom now!” it shouted. It was a joke, of course, and one that the company’s founders had a good laugh about. But three months and several serious requests later, Droom had no choice but to make the joke a reality. The anecdote, narrated by Droom co-founder Rishab Malik on how they began renting private planes and helicopters in August 2015, is a sign. No longer are chartered flights — both private jets and helicopters, limited to a minute fraction of the Indian populace. As the number of millionaires and billionaires in the country increases, so does the demand for the exotic. And what is more exotic than celebrating a birthday on a private jet to Goa? “Yes, it’s a high glamour category, especially for an online aggregator, but we are seeing an increasing demand for such things,” observed Malik, when asked whether taking something this niche online actually works. To be fair, Droom has not managed to sell either of the private jets it has for sale. But what it is selling is around three ‘aerial experience’ packages a month. During peak times, the transaction volume goes up to as much as seven. Droom is not the only such provider. Kanika Tekriwal’s startup JetSetGo had begun offering chartered flights online. “We wanted to ensure people with diverse financial backgrounds have the option to travel by private jet,” said Tekriwal, founder of JetSetGo, during the launch of its JetSteals program. JetSteals has prices ranging from Rs 4,600 to Rs 45,000 and allows passengers to book seats on private jets to regions in India that commercial flights do not take. There are a few others, including some established charter operators, but Droom seems to have hit on a segment no one else has paid much attention to — once in a lifetime experiences. Apart from the normal business and political travellers, Droom is offering those with the moolah aerial birthday parties, bachelor and bachelorette parties and even joyrides. “Weddings and parties are huge sells. For example, we had people who hired a Falcon 600, which seats around 15 to 16, for a wedding. It cost them around Rs 7.5 lakhs for 3.5 hours,” pointed out Malik. The pricing varies widely, depending upon the duration, the distance and the number of people. But the destination and airport handling charges also play a vital role in pricing. 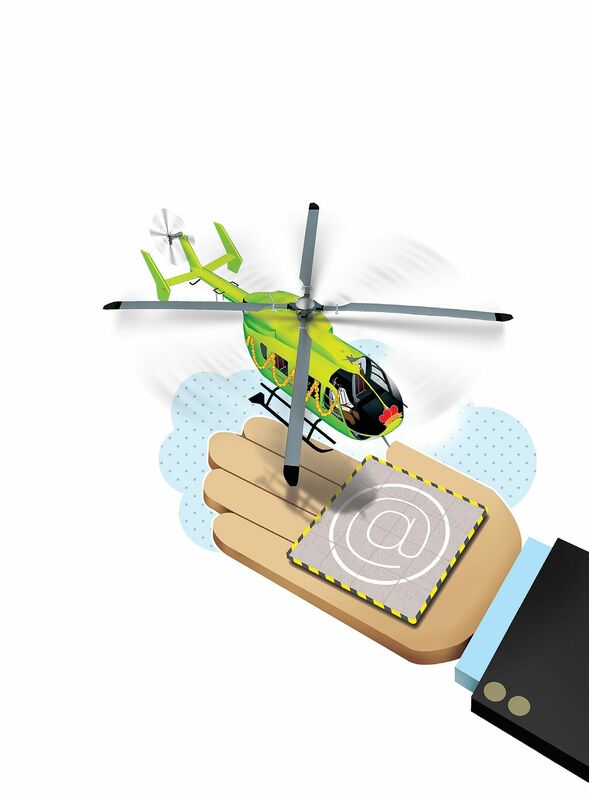 Right now, a short stint on a helicopter can cost up to Rs 2 - 3 lakh. A private jet can cost up to Rs 5 - 7 lakh. But for one time experiences, people are not too stingy. Ashwin Ram, from Chennai, threw a bachelor party before his wedding in May that cost him around Rs 1.5 lakh. “If it gets me an experience that people talk about for a while, I wouldn’t have minded spending a lakh or so more,” he said . Partying aside, another major source of revenue for online chartered flight aggregators are pilgrimages. “There are people who go to pilgrimages where the only option to fly to is hours away. But there are small airstrips and airports that can handle small planes that are closer. Developing them could boost both charter operators and regional connectivity,” said Amber Dubey, Partner, Aerospace and Defence, KPMG. The entire segment is growing anywhere between 15 per cent and 25 per cent depending on who you ask and if the National Civil Aviation Policy succeeds in overhauling the hundreds of unused small airports in the country, charters and online providers of charter services might well graduate from providing niche services to catering to less serviced locations. Until then, you can always party on your own private jet. For just about Rs 3 lakh.